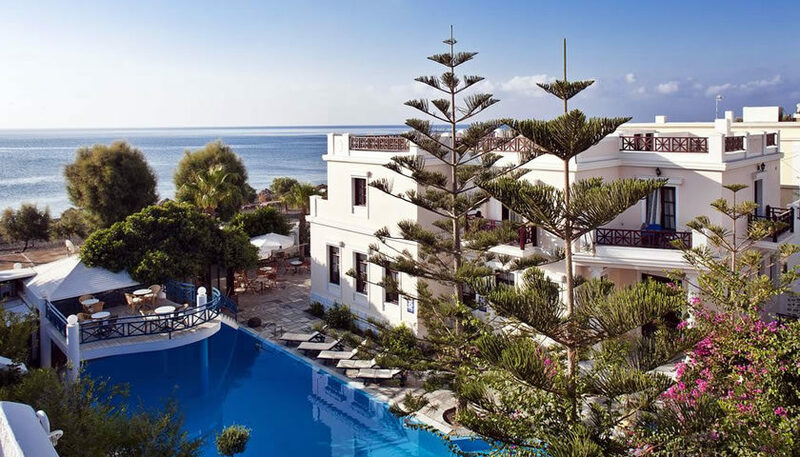 Elegant accommodation in Perissa beach. The hotel offers rooms and maisonettes that can host up to 4 people, an outdoor pool, a hot tub, a restaurant, a fitness center and a playground. 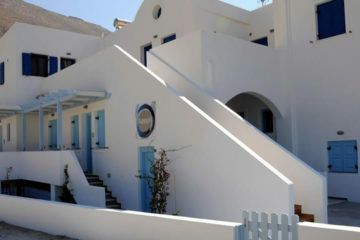 Specify the dates of your visit to Santorini to check availability and prices of Veggera.